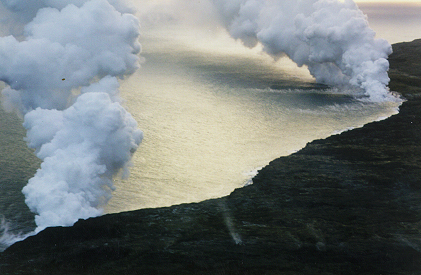 Hawaii is a collection of beautiful islands, so far away from mailland USA that it is closer to Japan ! It was indeed a very very long journey from New York to Honolulu. It was snpwing the day I took from Newark & so I missed my connecting flight from Chicago. I had to then go to Los Angeles & take another flight to Honolulu. In the end it took me one full day of flying to get there ! 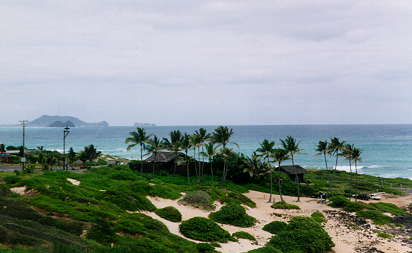 Honolulu, the capital of Hawaii is in the Oahu island. 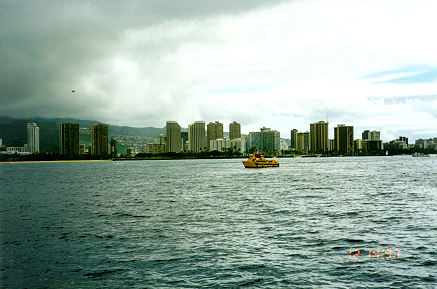 Honolulu is best known for its Waikiki beach. 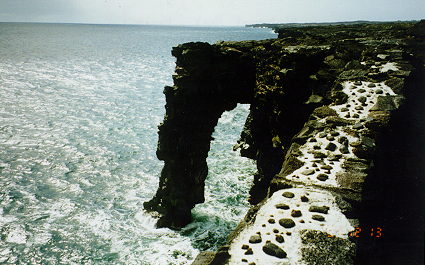 Oahu is the most beautiful island among the Hawaiian islands. It is full of the dream beaches one gets to see only in pictures. In some of the beaches you can see the sand so clean & the water green & blue and so crystal clear. The North shore in Oahu is the surfing paradise of this World where one can see so many surfers riding those huge waves you would have seen only in movies ! We took a submarine dive to a depth of 100 feet in the ocean which was a remarkable experience. It was thrilling to see so many different varities of exotic ocean creatures including fish in many different colors. We would normally see such things only in an aquarium & it was great to see it natural. 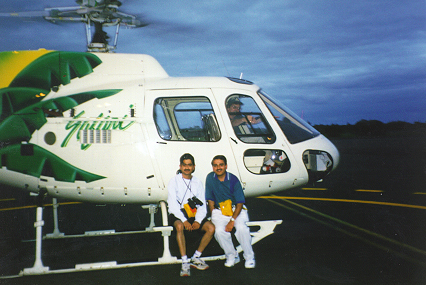 The chopper we rode over the live volvanoes !